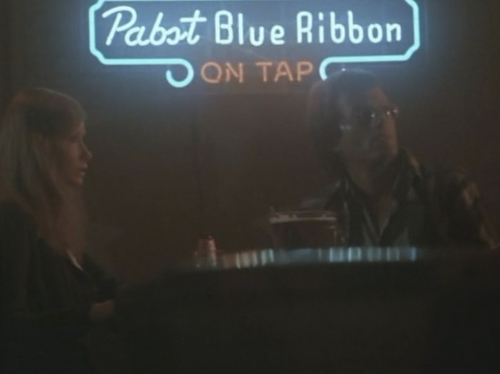 A nice bit of neon product placement there for Pabst Blue Ribbon draft pisswater, from the decent enough resolute-man-versus-corrupt-local-bigwigs flick Fighting Mad, featuring Peter Fonda and directed by a young Jonathan Demme for Roger Corman. 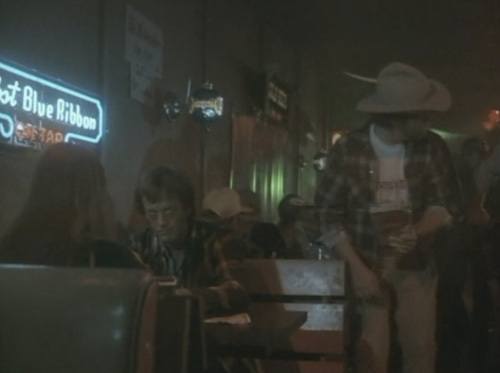 The old ‘broken neon sign spells something a bit rude’ gag gets another airing in fashion world spy comedy Zoolander. 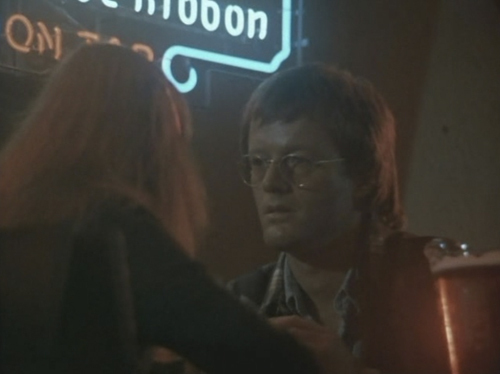 Assassin Karl Hertz (Paul Giamatti) stands in front of a bullet-damaged neon sign in Shoot ‘Em Up. Crappy film, Batman Returns, but this is a nice shot of Selina Kyle (Michelle Pfeiffer) in her apartment after first becoming Catwoman (hence the cutesy ‘HELLO THERE’ sign being smashed down to the more sinister ‘HELL HERE’). So here we have Michael Keaton as the Caped Crusader up above the Axis Chemicals plant in Tim Burton’s version of Batman, a not-so-subtle hint at the authoritarian streak running through the Dark Knight.